Contains a list of recommended Pokemon in the middle game in Pokemon Ultra Sun and Moon (USUM) like Gyarados, Magneton, Mimikyu, etc. Gyarados is one of the more known Pokemon to pack a punch against its targets. This is the reason why you should catch a Magikarp early so that you can immediately level it up to 20 and evolve it into a Gyarados. 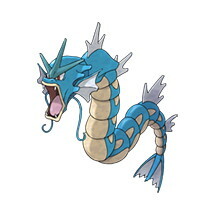 Gyarados also possesses the ability Intimidate which lowers the Attack of opponents. Ice Fang is an essential Ice-type attack that Gyarados must learn. Crunch is also a very good move that deals a lot of damage and has a 20% chance of lowering the Defense of the opponent. Catch a Magikarp early on in various areas such as Akala Island‘s Route 7 and Brooklet’s Hill. They also appear on Melemele Island‘s Kala’e Bay. 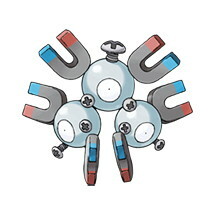 Magneton and Magnezone are Electric/Steel Pokemon that came from Magnemite. Magnemite will evolve to Magneton starting level 30 while evolving it to Magnezone requires Magneton to be leveled up in a Special Magnetic field. Both these Pokemon are very strong as they use very powerful Electric-type attacks like Shock Wave, Zap Cannon, and Flash Cannon. You can find a Magnemite in Route 1 and Hau’Oli City on Melemele Island. 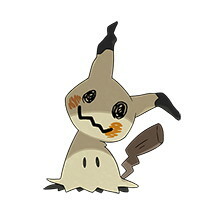 Mimikyu is Ghost/Fairy type Pokemon known for disguising itself as a Pikachu. Mimikyu’s signature Ability is Disguise, which negates the first damaging ability against it. This allows Mimikyu to set up for more powerful attacks later in battle. Mimikyu is also immune to Normal, Dragon, and Fighting moves which can serve you well in most battles. You can catch Mimikyu around the Thrifty Megamart (Abandoned Site) on Ula’ula Island. 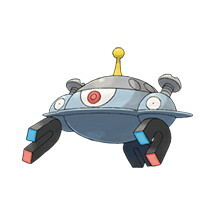 Beldum is a Steel/Psychic Pokemon, meaning it over has nine move types that are not effective against it. These are Normal, Grass, Ice, Flying, Psychic, Rock, Dragon, Steel and Fairy moves. It is not affected by Poison moves, and doesn’t have a quadruple weakness. These advantages make Beldum a strong Pokemon in the middle stages of the game. Beldum evolves into Metang starting at level 20, and finally evolves into its final form, Metagross, at level 45 onwards. You can catch Beldum at Mount Hokulani on Ula’ula Island. 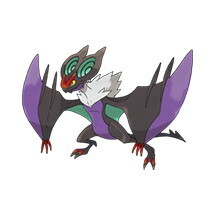 Noivern is a very strong Flying/Dragon type Pokemon. It evolves from Noibat starting at level 48. 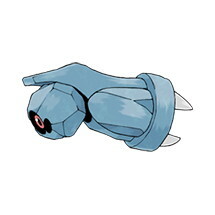 This Pokemon is known for its tremendous speed and two moves that are vital in battles – Frisk and Infiltrator. Frisk allows you to see the item of your opponents in battle. Infiltrator, meanwhile, lets you ignore the effects of Light Screen, Reflect, Mist, Aurora’s Veil, and Safeguard. You can only get Noibat in the Verdant Cavern on Melemele Island.